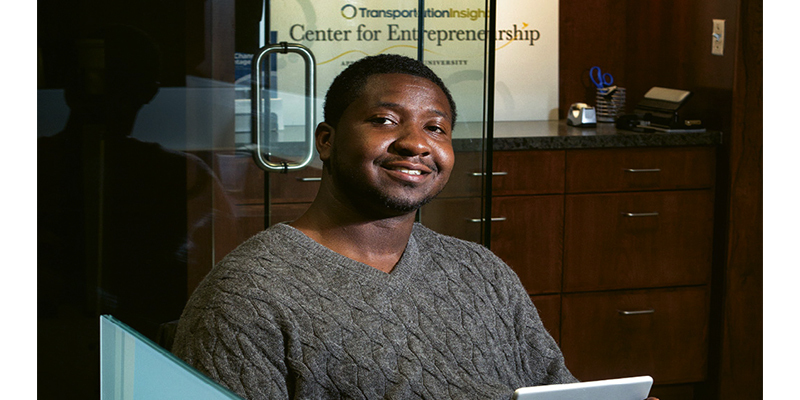 Assistant Professor of Entrepreneurship Ralph Griffith says that the business incubator program he directs at Lenoir-Rhyne University doesn’t just help students and community members start new businesses. “Our product is freedom,” he says. “It sounds corny, but we’re giving students the tools to start their own business and create their own path.” At the Center for Commercial and Social Entrepreneurship, housed at the university’s Hickory campus, students and community members submit ideas and apply to the incubator program, which supports both for-profit and nonprofit businesses and social enterprises. In the three years since its inception, the program has helped commercialize 21 ventures, including BottomsUP Box, a subscription service that delivers packages of craft beer swag to ale lovers in every state and the U.K. Griffith says that acceptance to the program is selective and provides substantial rewards, including a portion of $10,000 in annual seed money. “What we’re really teaching students are problem-solving skills and the confidence and know-how to find a gap in the marketplace,” he says.